MISSION, KS--(Marketwired - Jun 6, 2013) - (Family Features) There's nothing like the perfect party to reconnect friends and cherish life's special moments -- big or small. Spoil your guests and make the cook happy by throwing a celebration highlighting simple appetizers and savory treats. Decorate the dining room with a bounty of seasonal produce and flowers. Create a large platter of fresh crudité for your serving table. Then place a long row of clear drinking glasses down the center of the dining room table, place a single stem of your favorite flower in each and you have an instant flower arrangement. You can forego a night of bartending by icing down a selection of drinks in a large ceramic pot. Avoid congestion by keeping the drinks station away from the food table -- crowds will be congregating both places. 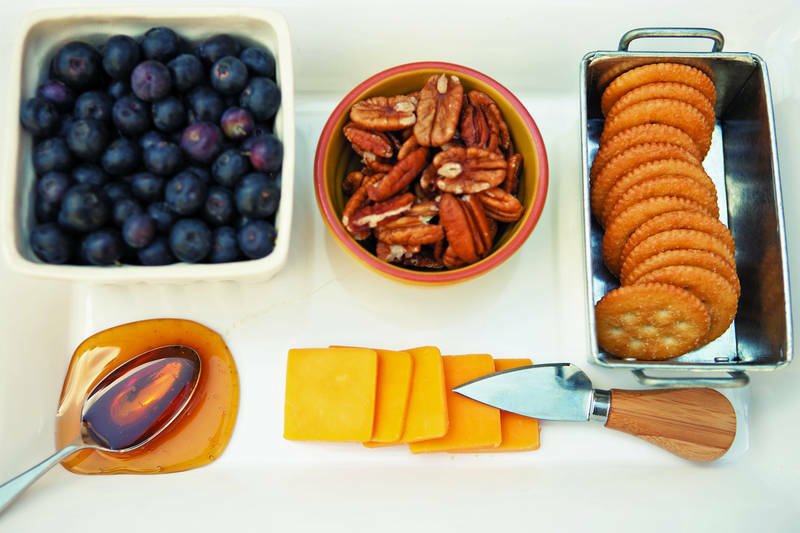 Make a show-stopping cheese tray the center of your food table. It's one of the easiest dishes to create and also happens to be a real crowd favorite. Start with a large platter that will fit a few cheese varieties and pairings. This arrangement will look so delicious you can even use an inexpensive platter or cutting board. No one will know the difference. Anchor your arrangement with a generous chunk of crowd-pleasing cheddar. Select a good brand, such as Cracker Barrel, which offers a full line of flavors to please any palate, from a rich Aged Reserve to the popular Extra Sharp. Complete the board by arranging a variety of cheeses in order of taste. Place Mediterranean Herb on one end and White Cheddar with Jalapeno on the other. Fill in with a selection of soft, firm and blue cheeses. Offer an assortment of breads, crackers and condiments to round out your arrangement. Fruit also makes a wonderful pairing with cheese. Keep cheese refrigerated until an hour before the party, and then allow it to warm up to room temperature since that's when cheese tastes best. Be sure to label each cheese so guests know what they're enjoying. Also make sure each wedge has its own knife so blue cheese crumbles don't wind up on the cheddar. To learn more about judging and pairing cheese, visit www.crackerbarrelcheese.com. Arrange all items on a wooden cutting board or serving platter.